I've just boiled up my first dye pot of 2018. In the cold grey of January I find myself craving fire colours: warm reds, golden yellows and glowing oranges. You can keep all those cold blues for a warmer season. Maybe I'll be in the mood for them come the mellow days May. To satisfy my immediate craving, I've just cooked up a spectrum of golden saffrons that's making me feel sunnier already. 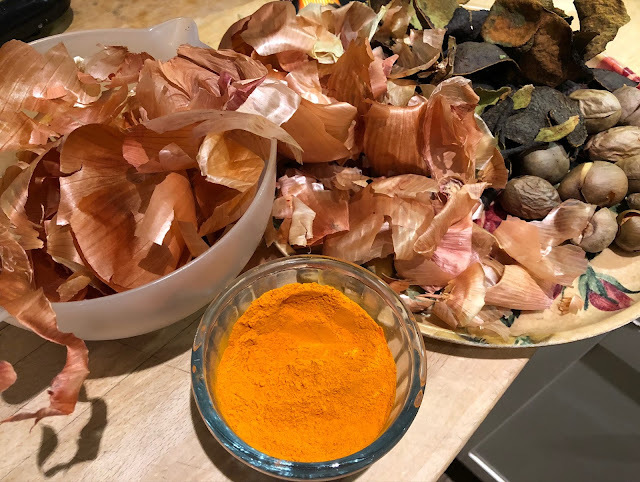 I started off with an unpromising collection of dried avocado skins and stones, the outer leaves of a whole pile of brown onions that I'd been hoarding and some turmeric for good measure. 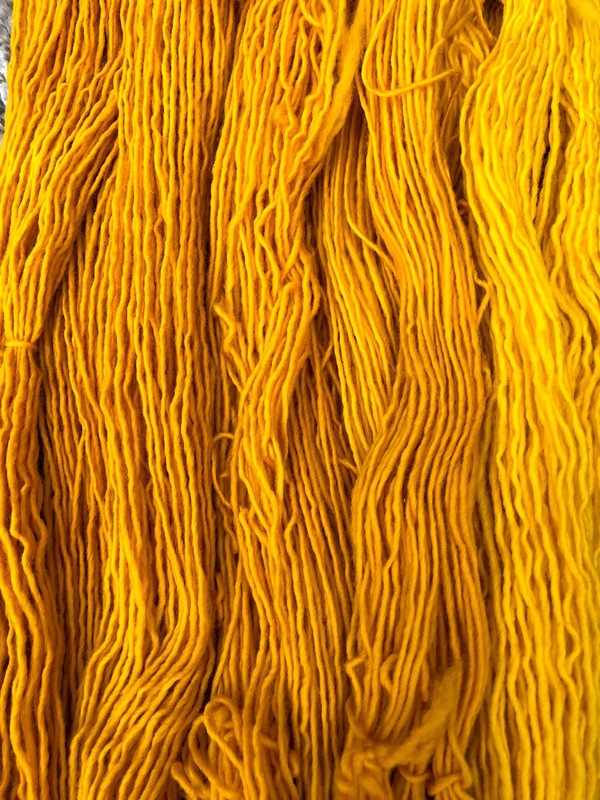 I boiled up the ingredients and then strained them through a sieve and some muslin to get a clear dye solution in which I treated my wool. 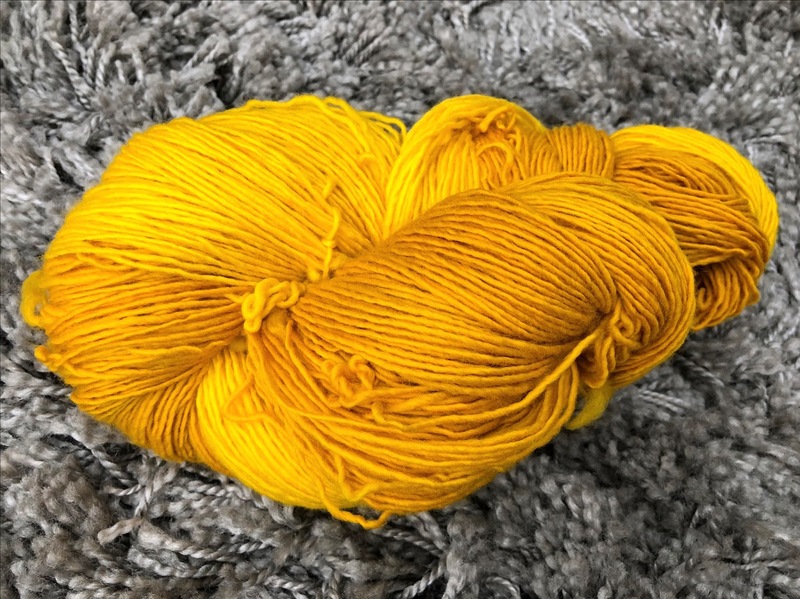 Given that I'd got loads of avocado pits in the recipe I relied upon the tannin in the avocado to mordant the wool, and make the dye adhere. 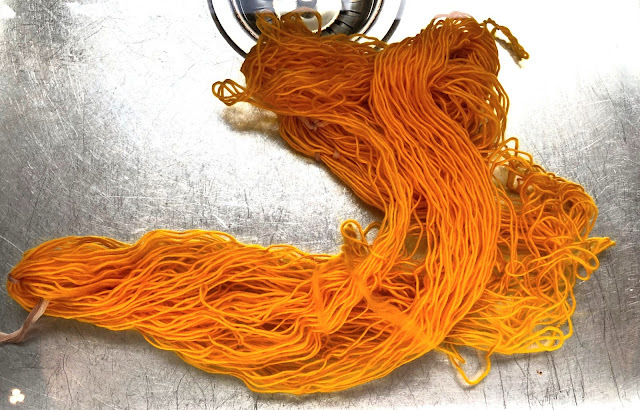 My favourite part of the dyeing process comes at the very end when I soak the fibres in fresh water to rinse away any surplus dye that hasn't adhered to the wool. 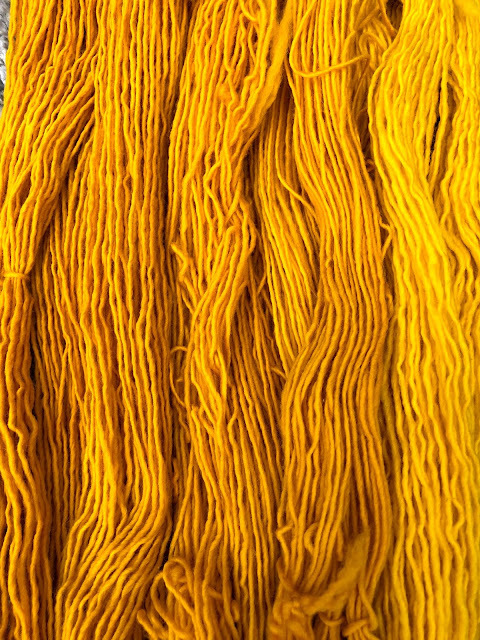 Watching your colours emerge as the wool unfurls like some exotic seaweed in a coral sea is a very sweet moment. That's not a bad spectrum of sunshine colours on a cold, grey morning! Now you're talking my colors!